Rockstar will unveil a new Red Dead Redemption 2 gameplay video tomorrow, August 9. While today’s Nintendo Direct was going on and Luigi was busy dying (or was he? ), Rockstar dropped an interesting morsel for Red Dead Redemption 2 fans. 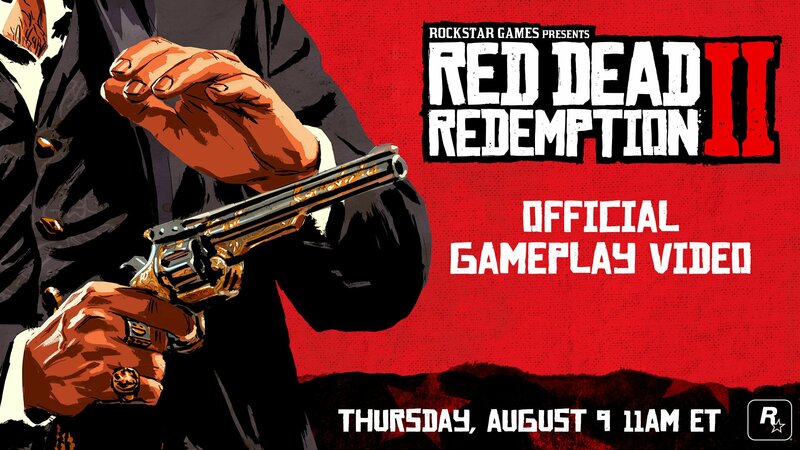 In an announcement on their website, Rockstar revealed that a gameplay video will go live tomorrow, August 9 at 8 a.m. (PST), 11 a.m. (EST), and 4 p.m. (BST). According to Rockstar, fans can tune in to the Red Dead Redemption 2 video on Rockstar’s website, Twitch, YouTube, and Facebook channels. With only two months left until the release of Red Dead Redemption 2 on October 26, it makes sense that Rockstar would drop additional info on the game. Rockstar will reveal a new gameplay video for Red Dead Redemption 2 tomorrow, August 9. Not much else is known about what the upcoming gameplay video will include. Be sure to check back, as we'll be updating with what the gameplay video for Red Dead Redemption 2 reveals after it goes live tomorrow, August 9. For more on Red Dead Redemption 2, be sure to check out some of our previous features including the reveal of Red Dead Redemption 2 special editions, the introduction of Sons of Dutch in Red Dead Redemption 2, and a recap of the game’s brilliant story trailer. Red Dead Redemption 2 is scheduled to release on October 26 for Xbox One and PlayStation 4. Are you planning to watch the new gameplay video tomorrow. If so, what are you hoping to see? Let us know down in the comments below!